Located on hills overlooking the Ikopa and Betsiboka Rivers, Antananarivo is the capital and largest city of MADAGASCAR. A king of the Merina people called Andrianjaka conquered the site in the early 1600s. Antananarivo, which means “city of a thousand,” was named for the guard of 1,000 men who defended it after Andrianjaka’s conquest. By 1800 the Merina kingdoms established control over Madagascar, and Antananarivo became the center of the most important of those states. The Merina restricted access to the city by refusing to build roads and sometimes banning Westerners. Nevertheless, missionaries, traders, and architects eventually made their way to the city and brought European influence with them. When the French made Madagascar a colony in 1896, they renamed the city Tananarive. During the early 1900s they renovated the city, widening its streets and building roads and rail lines to connect it to the coast. While under French rule, the city’s population increased by almost 200,000 people. Madagascar achieved independence in 1960, and the city regained its original name after a revolution in 1972. 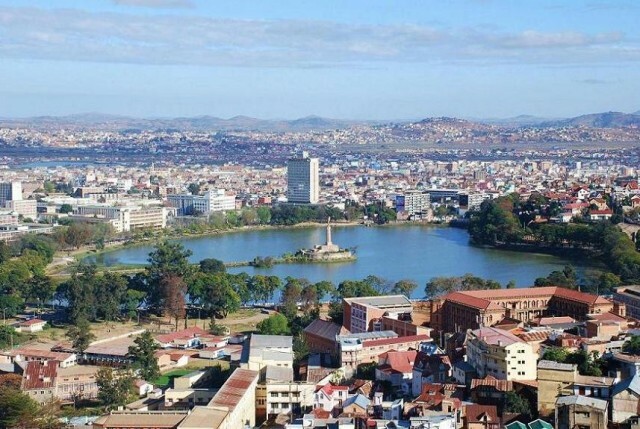 Today Antananarivo is home to nearly one million people, and it remains the economic and political center of the country.